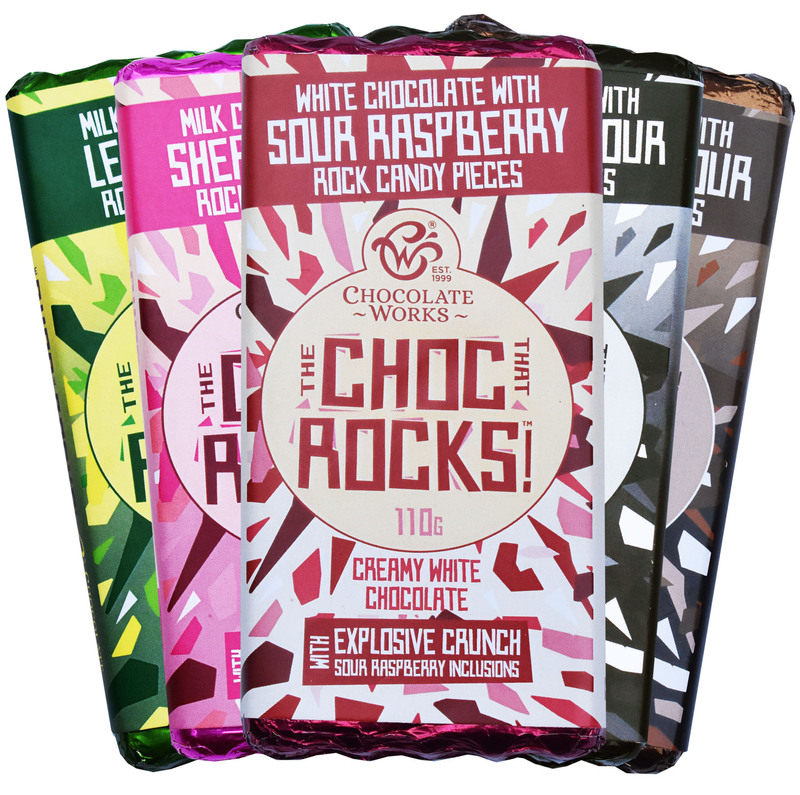 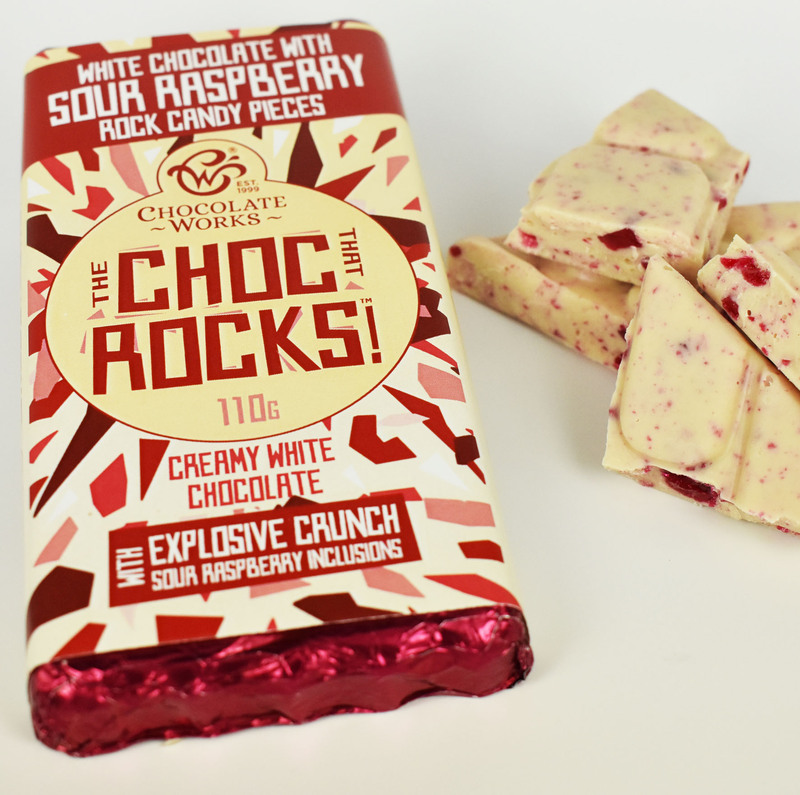 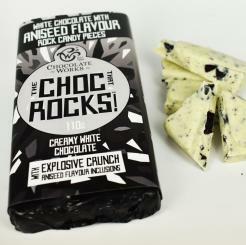 The Choc That Rocks is Chocolate Works range of Rock Candy infused chocolate bars. 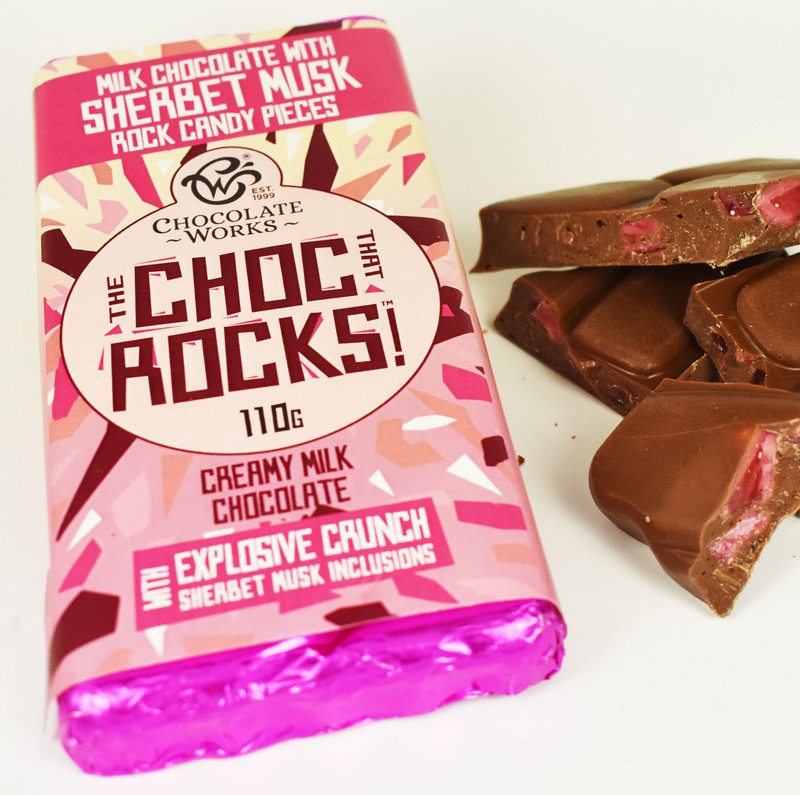 110 grams of delicious creamy milk chocolate infused with flavouring and rock candy pieces. Presented foiled with full colour wrapper. 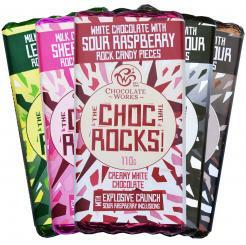 Choice of flavour combinations in your pack of 36 bars. Milk chocolate with Sour Lemon and Lime inclusions. Milk chocolate with Sherbet Musk inclusions. 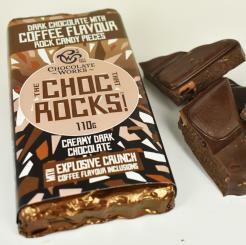 Dark chocolate with Coffee inclusions. 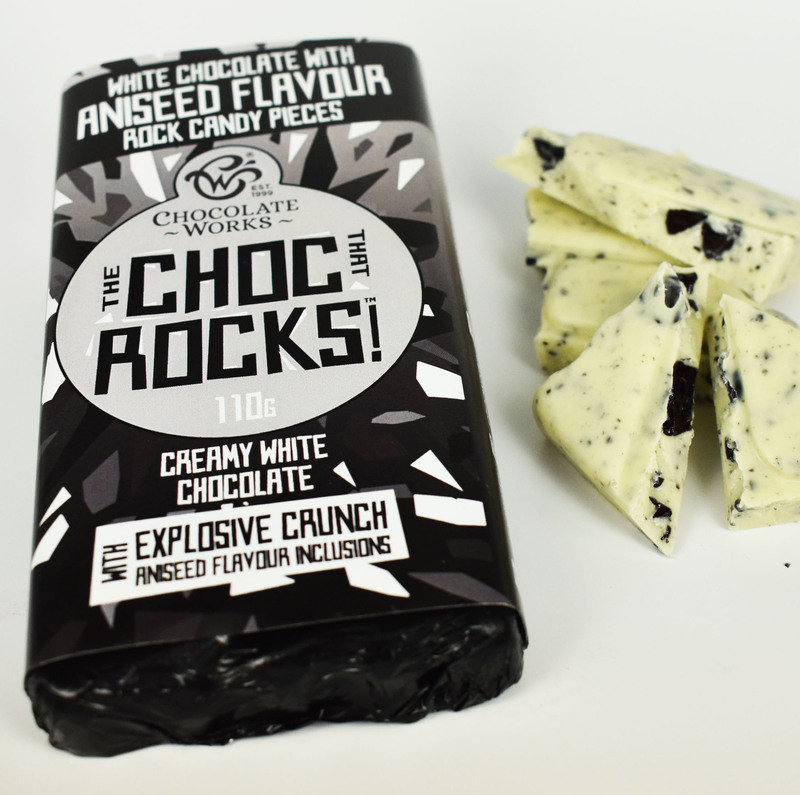 White chocolate with Aniseed inclusions. 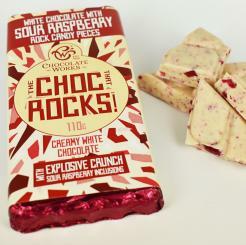 White chocolate with Sour Raspberry inclusions. 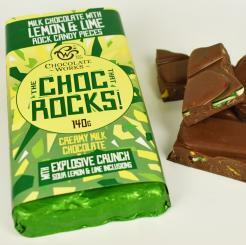 Recommended Retail Price is $5.95 The Choc That Rocks is a registered Trademark.